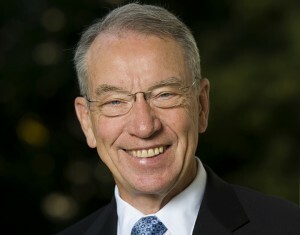 U.S. Sen. Chuck Grassley (R-IA) today welcomed confirmation from the State Department Office of Inspector General that the inspector general will review the department’s use of the Special Government Employee program. Grassley is concerned about potential conflicts of interest arising from a top State Department employee, Huma Abedin, who worked for both the government as a Special Government Employee and an outside firm, Teneo, at the same time. His concerns date from 2013, when he wrote to the State Department and 15 other agencies about their use of the Special Government Employee program. The State Department never fulfilled his request for all communications between the State Department and Teneo. He reiterated that request last month in light of revelations of private email use by then-Secretary of State Hillary Clinton and reportedly Abedin. Linick’s response to Grassley is available here. Grassley’s request to Linick is available here. Grassley’s request to the State Department, not yet answered, is available here.